Kyle Freeland can only hope June resembles May. Anthony DeSclafani can only hope the rest of this season resembles 2016. 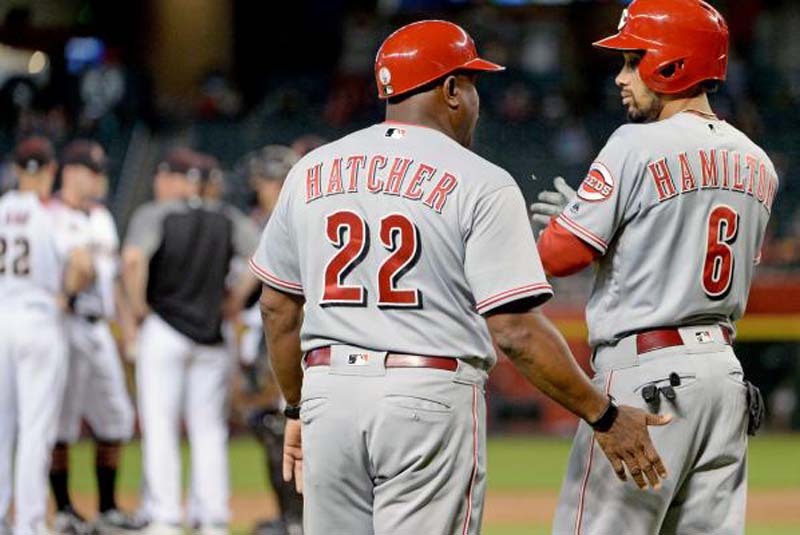 The Colorado Rockies and Cincinnati Reds, both coming off disappointing weekends, open a three-game series on Tuesday at Great American Ball Park with the matchup of a pitcher coming off a strong month against another coming off a long, long layoff. The Rockies, very much in the NL West race, will look to get another effective start from left-hander Freeland (5-5) as they try to bounce back from a lost weekend in which the Los Angeles Dodgers outscored them 33-19 during a three-game sweep at Coors Field. The Rockies have lost four in a row overall. The last-place Reds, very much out of the NL Central race, will get their first in-game look at right-hander DeSclafani since late in the 2016 season as he makes his season debut. DeSclafani was a promising 9-5 with a 3.28 ERA in 20 starts in 2016, only to miss all of last season with a partially torn UCL and the first two months of this season with a left oblique strain that occurred late in spring training. DeSclafani, who is replacing struggling Homer Bailey in the Reds' rotation, gave up two runs in 6 1/3 innings for Triple-A Louisville during his final rehab start on Wednesday. He had 22 strikeouts and three walks but 20 hits allowed in 19 1/3 innings while rehabbing. "I'm real happy I'm healthy," DeSclafani said. "My arm feels great. I feel like I'm throwing a lot of strikes. ... I'm excited I'm healthy." So are the Reds, who are struggling to find starting pitching. DeSclafani was excellent for most of a 2016 season in which he started 6-0 but because of his multiple injuries hasn't pitched in a major league game since beating the St. Louis Cardinals 2-1 on Sept. 28, 2016, allowing one run in six innings. "He's stretched out to the high 90s (pitch count) so there's nothing for him left to do except pitch for us," Reds interim manager Jim Riggleman said. The Reds are coming off a 3-6 road trip to Colorado, Arizona and San Diego, losing two of three at each venue. They wrapped up the trip by losing to the Padres 6-3 on Sunday. "Very dissatisfied," Riggleman said of the road trip. "Very happy with the intensity and effort we get from our guys every day, but 3-6 is not acceptable. But that's what we did, so we have to accept it and move on." Much like the Rockies must do after jumping out to a lead in every game of the series against the Dodgers, only to have their bullpen overwhelmed over the late innings. On Sunday, for example, they opened leads of 4-0 and 6-1, only to lose 10-7 as their bullpen gave up five runs in the final 3 1/3 innings. "You're going to go through stretches like this," Rockies catcher Chris Iannetta said. "It's not good, it's not ideal, but it's not the end of the world. I think over the course of the season that stuff happens multiple times for every team. You play too many games for it not to happen." Freeland would like to get the kind of run support he received in his last start, an 11-4 win over the San Francisco Giants last Tuesday in which he won despite allowing three runs and eight hits, including two homers, in 5 1/3 innings. That outing finished a month in which the left-hander went 4-1 with a 2.56 ERA in five starts in which he struck out 25 and walked nine. Freeland is 1-1 in two career starts against the Reds, both coming last season. He beat them 6-4 on May 21, 2017, giving up four runs in six innings, then lost to them 8-1 on July 4 as he surrendered five runs in 5 1/3 innings. Freeland doesn't have much of a history against the Reds batters, although Scott Schebler is 4-for-6 (.667) against him with one homer. Jose Peraza is 3-for-5 (.600) with a homer, triple and two RBIs. Joey Votto is 1-for-6 (.167). DeSclafani has faced the Rockies only once, a 2015 start in which he gave up three runs and seven hits in seven innings and didn't receive a decision. Ian Desmond is 4-for-8 (.500) against him.